Hosting a party within the grounds of your own home is a fabulous idea. Having a party at home gives you great flexibility and a multitude of options. You save money by not paying bar prices for drinks. There’s no problem with access for underage guests. And you’re not tied into using suppliers as dictated by some venues or curtailing your party by adhering to strict finishing times. 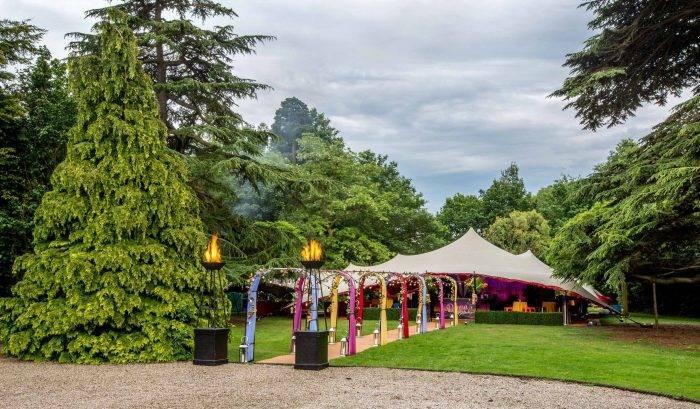 Opting for a marquee party means you can really go large with a flamboyant themed celebration. You can recreate the best top London nightclubs in your own back garden. Or celebrate in grand style in the grounds of your estate. 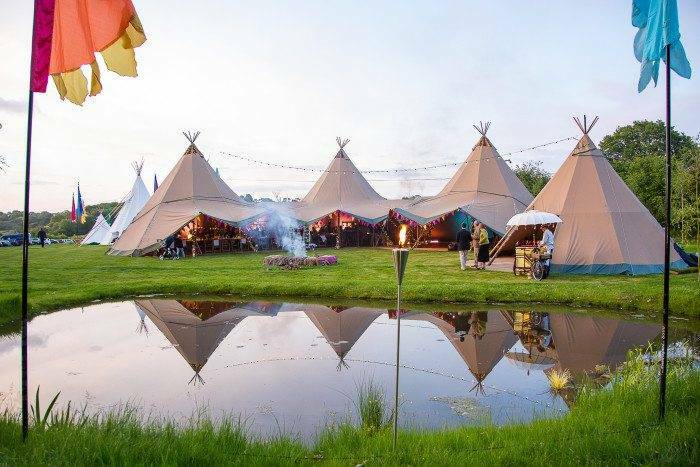 Have a field big enough and you can also build a tipi village to accommodate guests overnight. If you don’t have the acreage but still want the garden party experience there’s options. We work with a number of greenfield sites across the home counties. And we’re innovative when it comes to designing bespoke marquees to fit smaller London gardens. Our skill and expertise is in designing and producing the most spectacular parties within temporary event structures that are world’s away from your average garden marquee. We also deliver the most exquisite interior styling, the very best party bands, top international DJs’, fabulous food and cocktails, photography, security, pyrotechnics, entertainers and event management. 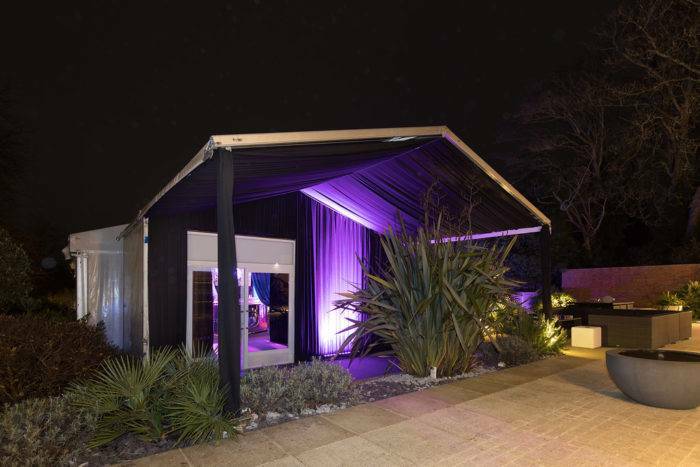 This bespoke purpose built temporary structure featured a draped and lit double height entrance, cloak room, nightclub with dance floor, circular cocktail bar, multiple chill out zones and hidden catering mess. Take a look inside this opulent marquee nightclub. 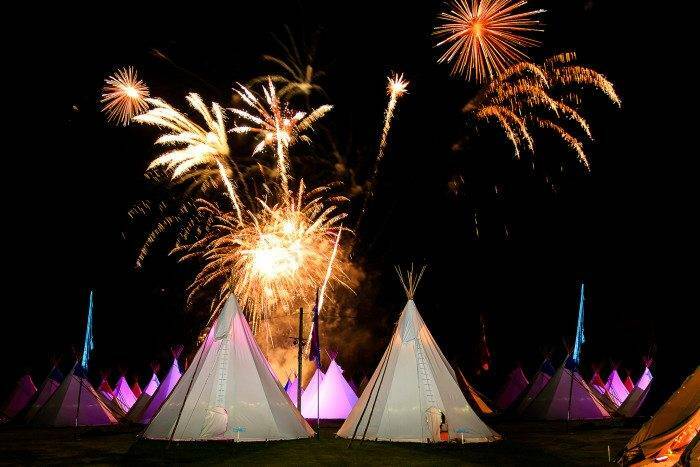 Beautiful giant hat tipis at a festival themed private party for our client’s 50th birthday party celebration. 25 accommodation tipis arranged around a large fire pit in a field behind the main giant hat party tipis. Take a look at more photos from this party for fabulous festival themed birthday party ideas. A quintessentially English summer garden party held in the grounds of our client’s West Sussex home. See more photos from this exquisite summer birthday party. Stretch tent with walkway for a Havana Nights party. Take a look inside this Cuban themed private party. Black and white Hollywood glamour with draping, props and a central chandelier for a very special 21st birthday party. See more 21st birthday party ideas. 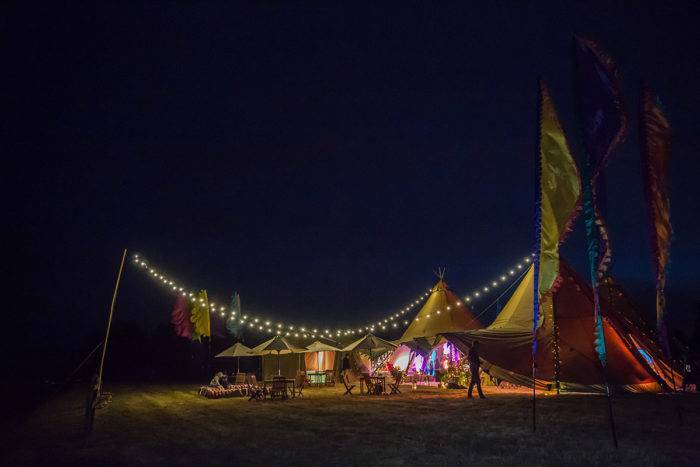 Festoon lighting and festival flags complete the look at this magical marquee birthday party. When you choose to have a marquee party at home anything is possible. This also applies if you don’t have a garden that’s particularly flat. The ‘back of house’ catering extension at the rear of this event structure shows the elevation which is achieved to work with a high sloping garden. Take a look inside this structure to see the incredible interior, which is sleek, plush and akin to some of the very best London hotel bars. 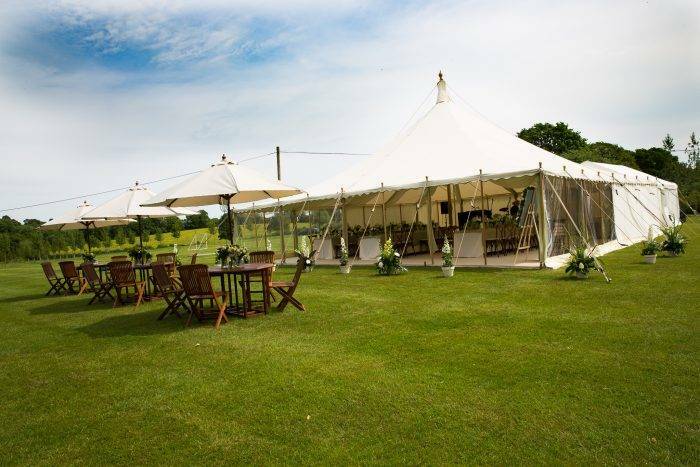 We love styling marquees for our clients who want to host extraordinary parties at home. We’ve created everything from flamboyant themed parties and interactive experiences to luxurious modern stylish spaces for marquee wedding parties. 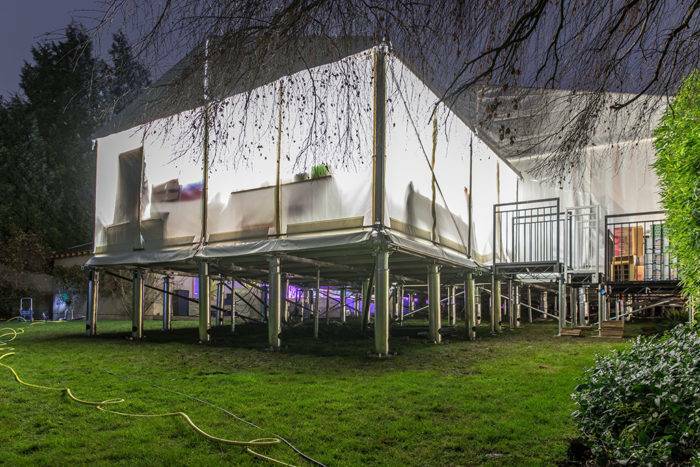 Don’t underestimate just how far your can go with styling the interior space of a temporary structure. You can really make the space your own, transforming a blank canvas into your dream vision for your ultimate party. You get to decide every detail when you choose to have a party in this way. 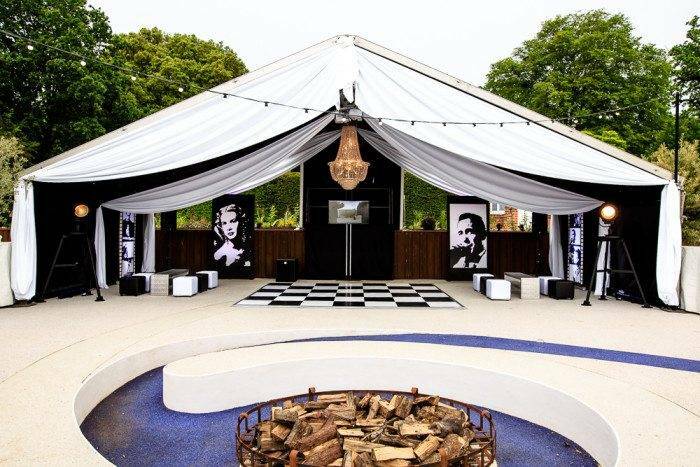 Unlike venues where much of the style and atmosphere is already established, with a marquee you get the chance to create a truly a one-off unforgettable fabulous party experience. We are your party people. We’ll bring your party vision to life. Call 01883 740400 or email info@mirageparties.co.uk. All of the images shown on our website are from parties and events that have been planned and produced by Mirage Parties. See more Mirage Parties blog posts for marquee party ideas, inspiration and event industry news.